Thanksgiving may be an all-American holiday, but Cyber Monday no longer belongs to any country in particular. Internet users from Brazil, Colombia, Egypt, Uganda and the United Arab Emirates alike will go online November 30 in search of deals, but hackers will also be there, looking for information to steal. Take advantage of two-factor authentication when possible: Many platforms offer an additional layer of protection beyond username and password. If this is an option, take it. Amazon.com, for example, will now text users a code that needs to be entered before logging in. To set this up, click on “Your Account”, “Change Account Settings” and finally “Advanced Security Settings”; your stored personal and credit card information will thank you. Answer security questions with fake answers: What is your mother’s maiden name? What year did you graduate high school? What street did you grow up on? With Facebook, Google and a little ingenuity, it’s not hard for a hacker to find the actual answers to your security questions. Think differently: What was your first pet’s name? To get to the other side. Beware of pop ups and unsolicited emails: The approaching holiday season means that retailers are working hard to get you to buy now more than ever—and that hackers are creating malicious links they hope you will click on. (Typos and mismatched URLs are warning signs worth noting.) Yes, you will receive an onslaught of pop ups and emails, but you do not have to click on their links or attachments. If you see an offer you like, type the URL into your browser rather than use the link provided. Look for HTTPS and a padlock in your browser: HTTP is not enough if you are about to enter personal or credit card information. A secure site will begin with https://. Choose credit over debit: A hacker with your debit card information also has access to your bank account. Credit cards, alternatively, typically have protections against unwanted purchases built into their user agreements. Avoid QR codes: Those pixelated squares that can be scanned by your phone’s camera can also be infiltrated by hackers to redirect to a malicious website. QR codes are convenient, but not worth the risk involved. Use a VPN for an extra layer of protection: Hoping to do a little mobile shopping while waiting in line for coffee? Whether you’re at the mall, a coffee shop or the airport, public Wi-Fi is an insecure hacker haven. Be sure to login to a VPN to secure your connection and encrypt your traffic. 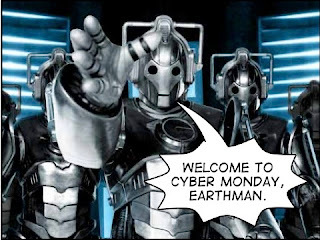 Utilizing two-factor authentication, typing in a URL, and logging into your SumRando VPN connection are measures that will slow down your Cyber Monday shopping, but they will also protect your purchases from the prying eyes of hackers. Isn’t your security worth it? Want more tips to stay secure online? Read on! 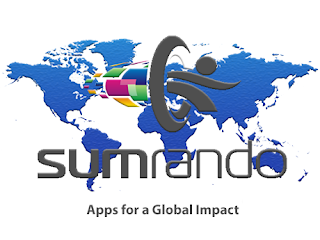 SumRando Cybersecurity is a South Africa-based VPN, Web Proxy and Secure Messenger provider. Surf secure and stay Rando! A Moroccan trial originally scheduled for November 19 has been postponed until January, a testament to the power of international pushback. In reality, activists Maati Monjib, Hicham Mansouri, Abdessamad Iach, Mohamed Elsabr and Hisham Almiraat’s “crime” was training others to use StoryMaker, an Android app for citizen journalism, and in January could face up to five years’ imprisonment. Of the five accused, Mansouri has been in jail since March on official charges of adultery that are widely thought to have more to do with his work with the Moroccan Association for Investigative Journalism (AMJI) than his personal life. Additionally, Maria Moukrim and Rachid Tarik face charges of receiving foreign funding without properly notifying the government, as Free Press Unlimited, a Dutch NGO, funded the StoryMaker app project in Morocco. These seven individuals have dedicated their time to not only AMJI and Free Press Unlimited, but also to the Association of Digital Rights (ADN), Global Voices, the Moroccan Association for Youth Education (AMEJ) and the Moroccan Association of Human Rights (AMDH)) and deserve recognition, not punishment, for the work that they have done. Individuals and organizations opposed to the charges, including the Electronic Frontier Foundation, Amnesty International, Front Line Defenders and Free Press Unlimited, should be heartened by last week’s postponement, but this is one worthy fight that is not over yet. Guarantee in all circumstances that all human rights defenders in Morocco are able to carry out their legitimate human rights activities without fear of reprisals and free of all restrictions. Want to know more about government repression of free speech? Read on! SumRando Cybersecurity is a South Africa-based VPN, Web Proxy and Secure Messenger provider. Surf secure and stay Rando! Our last installment of SumVoices featured Swedish librarian and Internet access advocate Helén Palm. This week we bring you the insight of Algerian journalist Rim Hayat Chaif. The two-part report features a version in Arabic, below. Talking about the situation of the internet in Algeria has spilled much ink, between frequent cuts, high costs, poor quality service and exaggerated rates of subscriptions. Algérie Télécome (AT) is the only internet service provider (ISP) in Algeria and it leads the telecommunications sector. Algerian internet users complain of bad service. The promises are many, but without implementation on the ground. Let Algerians ask about solutions and what to do to avoid such things. Algeria greatly lags behind in access to technological resources including the internet. In the region of North Africa, Algeria is ranked behind Morocco and Tunisia. Indeed, the internet penetration rate is estimated to be 14% while neighbors Morocco and Tunisia are respectively about 51% and 39% according to a case study conducted by Google North Africa in 2013. This lack of penetration is explained by the vast space of the country compared to its neighbors. The infrastructure of the internet in Algeria is weak and requires many things to make the situation better for Algerian internet users. This poor quality of internet connectivity is due mostly to selling the same bandwidth to more than 40 families at the same time, which causes major online blockage and traffic. Users wonder why they are getting such a slow internet connection even if they registered for better service. By this logic, it became impossible to give them good internet service. Algerian internet users certainly know better than anyone the extent of the shortcomings of internet services. They have suffered from decades of bad connections. Moreover, this is due to the monopoly of the internet by just one company. In vain the private sector suggested the creation of an independent company, which would manage the national network and the fiber optics as well as the international connections and the infrastructure. Algerie Télécome (AT) is the state owned company that monopolizes the national IT market and telephone lines in the country. The lack or even the absence of competition in this sector has resulted in a delay for the internet and what comes with. This situation has created a huge delay in online services as e-commerce and e-payment have not been implemented yet. Despite the existence of many e-commerce sites in Algeria like Echrily.com and Guiddini.com, traditional methods for payment by bank transfer, cash on delivery or even by chéque are used. A recent official report published in Algerian newspaper Echourok disclosed that Algérie Télécome (AT) was unable to make a global and obvious plan for fiber optic utilization and exploitation in a better way or to raise the capacity and the speed of the local and international access to the Internet. Algeria is considered to be one of the countries that has the slowest internet connectivity in the world, ranked 179th with a rate of 3.3 mbps/sec, according to a net index website. Meanwhile, the improvements are minor, and several places in rural regions in Algeria are still unconnected. Recently, internet access was disrupted for several days and was totally cut in some areas, caused by a cut of a submarine cable linking Annaba (600 km east of Algiers) to Marseilles in south-eastern France. This was announced by Algerie Télécome on 22 October. As a result, the country lost 80% of its internet access capacity. This blackout forced many cybercafés to close their doors, and many netizens criticized the weak infrastructure. In reality, there are two submarine cables that link Algeria to Europe, the one which was cut, and the other from Palermo, Italy. In fact, Algeria has about 10 million internet subscribers while two million are connected via ADSL according to AT, nearly a quarter of the population. After that Internet was restored, ADSL subscribers received a free automatic extension for a period equal to the time during the plagued interruption of the internet service. Want more SumVoices? Read on! Interested in contributing to SumVoices? Contact us at blog@sumrando.com. Our last installment of SumVoices featured Swedish librarian and Internet access advocate Helén Palm. This week we bring you the insight of Algerian journalist Rim Hayat Chaif. The two-part report features a version in English, above. الحديث عن وضع الانترنت في الجزائر أسال الكثير من الحبر، فبين الانقطاعات المتكررة والتدفق البطيء والتسعيرة الغالية، مازال مستخدمو الانترنت الجزائريين يشتكون من رداءة الخدمات الى حد الساعة. الوعود كثيرة ولكن شتان بين الوعود والتطبيق على أرض الواقع. على العلم بأن الجزائرية للاتصالات تعتبر الشركة الوحيدة المزودة للأنترنت في الجزائر كما تقوم باحتكار قطاع الاتصالات. تفتقد الجزائر الى الكثير في مجال تكنولوجيا المعلومات والاتصالات بما فيهم خدمة الأنترنت. ففي منطقة شمال افريقيا تحتل الجزائر أسوأ مرتبة بعد تونس والمغرب. في الواقع، تشير دراسة قام بها جوجل لشمال افريقيا حول معدل انتشار الانترنت في شمال افريقيا لسنة 2013 بأن معدل دخول الانترنت في الجزائر هو 14 بالمئة في حين أن البلدان المجاورة لها المغرب وتونس يمتلكان المعدلين كالتوالي 51 بالمئة و39 بالمئة. ولكن يمكن تفسير هذه النتيجة بمساحة الجزائر الشاسعة مقارنة بجاراتها. كما أن البنية التحتية للأنترنت مازالت ضعيفة ولا تصل الى المستوى، وتستلزم القيام بأمور كثيرة من أجل تحسين الوضع لمستخدمي الانترنت الجزائريين. كما أن لرداءة الانترنت سببا اخر يتمثل حسب تقرير كشفت عنه جريدة الشروق الجزائرية في بيع 1 ميغابيت الى أكثر من 40 عائلة في نفس الوقت مما يسبب زحمة كبيرة على الخط الذي يعتبر الطريق السيار الى الدخول الى الشبكة العنكبوتية فكلما زاد عدد المبحرين على نفس الشبكة كلما زاد الضغط عليه وبالتالي تضعف الشبكة. وبهذا يكون من المستحيل تقديم خدمة جيدة للزبائن بالرغم من ان للشركة نطاق نفاذ واسع يمكن من خلاله تحسين الخدمات. فبلا شك، يعرف مستخدمو الانترنت في الجزائر أكثر من غيرهم مدى التقصير معهم في الخدمات، يعاني هؤلاء منذ سنوات من ضعف الأنترنت وانقطاعه في بعض الأحيان لأيام. ويعود هذا بالنسبة للتقنيين وخبراء جزائريين الى احتكار شركة اتصالات الجزائر للأنترنت وعدم إعطاء الفرصة للشركات الخاصة بالدخول والمشاركة في هذا المجال والذي يفتح المجال للتنافس بينهم من خلال عروض و باقات تمكن المواطن من اختيار ما يراه مناسبا له. من اجل وضع حد لهذا الاحتكار السلبي، تقدم عدة متعاملين خواص بالطلب من الحكومة بتحرير الشبكة الوطنية للألياف البصرية و البنية التحتية للاتصالات ونقاط النفاذ الى الشبكة الدولية للأنترنت و تأسيس متعامل مستقل بذاته و متخصص في تسييرها كما هو معمول به في اغلبية دول العالم. فعدم وجود متعامل منافس أدى الى ضعف الخدمة أو حتى عدم الاكتراث لها. وهذا ما نتج عنه تأخر كبير في عدة ميادين مرتبطة بالأنترنت كالتجارة الالكترونية والدفع الالكتروني، على الرغم من وجود عدة مواقع جزائرية للبيع الالكتروني Echrily.com, Guiddini.com, و لكن وجودها كعدمه فهي تستخدم طرقا تقليدية للدفع كالتحويل البنكي او الدفع بنفس المكان او حتى بالصك. هذا و قد احتوى التقرير المشار اليه سابقا بأن شركة الاتصالات الجزائر فشلت في وضع خطة وطنية شاملة واضحة المعالم من أجل ضمان رؤية شفافة لكيفية استغلال الشبكة الوطنية للألياف البصرية بشكل امثل ما أدى الى تقديم خدمات رديئة بأسعار غالية للزبائن. كما تحتل الجزائر المراتب الأخيرة و تعتبر من البلدان ذات الانترنت الضعيف بحيث احتلت المرتبة -179- بسرعة تحميل 3.3 ميغابيت بالثانية حسب موقع نت اندكس. وفي نفس الوقت، التحسينات قليلة وهناك عدة مناطق ريفية لا تملك الانترنت الى حد الساعة. كما سجل في الفترة القليلة الماضية انقطاع للأنترنت بصفة جزئية من الجزائرمؤديا بها بالانقطاع عن العالم لأيام متواصلة، مؤديا بالجزائر الى فقدان 80 بالمئة من قدرتها بالدخول الشبكة العنكبوتية. نتيجة تضرر الكابل البحري الذي يصل مرسيليا – فرنسا- بعنابة –الجزائر- التي تبعد حوالي 600 كلم عن الجزائر العاصمة من الجهة الشرقية. تم الإعلان عن هذا من طرف الشركة الجزائرية للاتصالات يوم 22 أكتوبر الماضي. هذا ما أدى بالكثير من مقاهي الانترنت بالوطن بغلق ابوابهم كما استغل الناشطون الجزائريون على الأنترنت بالتعبير عن سخطهم من الامر وانتقاد البنية التحتية للأنترنت في بلدهم. بعد عودة الانترنت استفاد جميع زبائن اتصالات الجزائر بخدمة انترنت مجانية لستة أيام كاملة تعويضا للتضرر الذي حصل و الذي استنكره أغلبية الجزائريين. وتملك الجزائر كابلين بحريين الأول الذي يربطها بفرنسا عبر عنابة والثاني يربطها بإيطاليا عبر العاصمة. وتسجل الجزائر 10 ملايين مشترك في الأنترنت الرقم الذي يمثل ربع سكان الجزائر بينهم مليونين مربوطين عبر خدمة ADSL. Allflags.world gives SumRando a new look. Be it an act of recognition, apology, or pacification, Facebook activated Safety Check for the second time in less than a week, this time for Tuesday’s bombing in Yola, Nigeria. Historically, Safety Check had been reserved for times of natural disaster (think: April’s earthquake in Nepal), but Paris was the precedent that shifted the tool into the realm of human disaster. Regardless, given that Nigeria’s Safety Check was not accompanied with a flag overlay, it’s clear that Nigeria has been given the ‘Free Basics’ treatment, if also likely that Facebook had little interest in perpetuating the very flag war it had begun. A disaster is one of the few reasons we can imagine a user would want to broadcast their location and status to others; for that, we applaud Safety Check and its growing ubiquity. Regarding flag overlays, however, we remind you that your Facebook page is just that: your page. Facebook’s suggestions are always yours to leave or take; your profile picture is yours to modify as you see fit. Allflags.world was created to add an overlay of flags from all countries attacked by ISIS to profile pictures. The website includes 27 countries and welcomes submissions of any countries overlooked. Facebook user Hubert Southall posted “All cries need to be heard” and has offered to create any overlay not provided by Facebook for any user in need. No platform is perfect, but what Facebook has always done well is enable users to express themselves to friends and the public as they (more or less) wish. The hostility of the past week demonstrates that Facebook users everywhere want equal treatment and also that messages are perhaps best expressed without Facebook’s prompting. Want to know more about what's happening on Facebook? Read on! Our last installment of SumVoices featured Iraqi photojournalist and social media trainer Bahr Jasim. This week--from the home of our popular Sweden and VIP Sweden nodes--we bring you the insight of Swedish librarian, Internet Society Sweden member and Internet access advocate Helén Palm. And how right he was. The Internet has become a significant part of everyday life, both at work and during leisure time. There I can find everything from recipes to academic papers. Almost everything can be obtained now by a few taps on the keyboard. Nowadays you have to have access to a computer and a broadband connection to participate in civil society. Most public services are available online and, in most cases, can be done at home at your computer. Without the Internet, it becomes more complicated to manage your daily affairs. Therefore, it is important that as many people as possible can learn new technology and become digital. The Digidel campaign in Sweden has been very successful in this work. The network was started in the spring of 2011 after a national campaign for increased digital participation. It aims to increase digital inclusion and accessibility of digital services in Sweden, through collaboration and shared knowledge work. Many actors such as libraries, banks, health care facilities, folk high schools, adult educational associations, district administrations and regional councils have participated in this campaign on local, regional and national levels. That is what has made it a great success. According to the Digidel team’s report, over 500,000 Swedish citizens have already been reached. But there is still a lot of work to do and the Digidel campaign will continue for at least two more years. E-services from local and national authorities will be presented, tested and marketed in a multitude of locations, open to all. Many EU countries, including Sweden, are involved in Get Online Week, which is a broader European campaign for digital inclusion. That is both good and necessary so we can narrow the digital divide. Sweden has also promoted freedom and openness on the Internet through its annual Stockholm Internet Forum conference. When I attended in 2014, the Internet’s ability to provide developing countries with economic and social development was also an important part of the conference. Several countries have regimes that strongly want to control the flow of information. The concept of transparency can be interpreted very differently depending on where in the world you live. The Stockholm Internet Forum will also go on for at least two more years and is a good way for participants from less developed countries to meet and exchange ideas and thoughts. After Snowden’s revelations, there has been lively debate about how much the state should be able to see of what ordinary people are involved in online. In my opinion, an open Internet allows everyone to participate on equal terms. It has technical, economic, social and political benefits. But it can be severely hampered by excessive regulation and control from government agencies or private organizations. Everyone should be able to have confidence and trust in the Internet's basic services. In developing countries, it is important to have cheap cell phones and access to the web without too much cost. Many people cannot afford the Internet even though there are larger networks in the countries they live in. For a good education in school, including for students from poor areas, it is important that there is access to information and opportunity for higher education. The Alliance for Affordable Internet, for example, is working hard in different parts of the world to make Internet access a reality and, specifically, that the price for Internet will be 5% below the average monthly income in each country. But it will of course take time. Baghdad, Beirut and Paris Bombings: Your News or Ours? 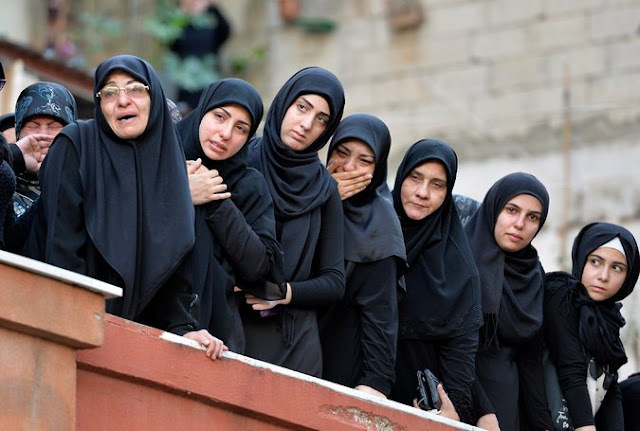 Last week’s bombings of Baghdad, Beirut and Paris brought much attention to the news coverage of some events over others and, in turn, sparked a global dialogue about the priority of some lives over others. 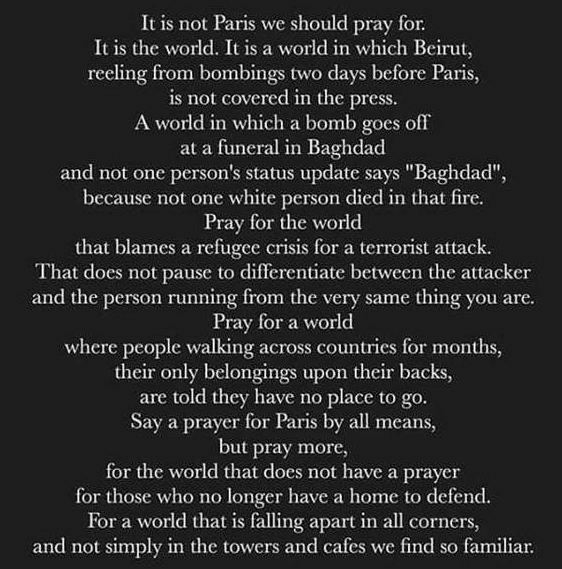 It is not Paris we should pray for. It is the world. The news you receive depends on where your internet service provider believes your computer is. See for yourself with our nodes in Brasil, Hong Kong, Jordan, New York, Singapore, Sweden and Turkey. Discover what's out there, surf secure and stay Rando! Want to know more about place-based media bias? Read on! Egypt's Parliamentary Elections: Your News or Ours? Mexico's 43 Disappeared Students: Your News or Ours? Syrian Migrant Crisis: Your News or Ours? Labels: Europe, Middle East North Africa (MENA), South Asia, united states, Your News or Ours? Freedom House’s 2015 Freedom on the Net report highlights the fact that a lack of digital liberty is a problem unique to no particular corner of the earth. For the fifth year in a row, internet freedom as defined by obstacles to access, limits on content and violations of user rights has declined. The report includes 65 countries, representing 88% of the world’s online population; nearly half of these users reside in China, India or the United States. Iceland, Estonia and Canada were found to be most free while China, Syria and Iran claimed the titles of least free. Libya, Ukraine and France took the biggest tumbles downward in 12 months, due to internal conflict, conflict with Russia and the aftermath of Charlie Hebdo, respectively. "Undermining online encryption and anonymity weakens the internet for everyone, but especially for human rights activists and independent journalists," reports Freedom on the Net Project Director, Sanja Kelly. Featured below are just a few of the many examples of what can go wrong when freedom goes without guarantee, according to the study's Summary of Findings. In Morocco, police detained 17-year old rapper Othman Atiq for three months after he criticized them in online videos. In Indonesia, a young woman was sentenced to two months in prison after her social media complaint calling the city of Yogyakarta “uncivilized” went viral in March 2015. In 2014, the Saudi #Women2Drive campaign encouraged women to share videos and images of themselves behind the wheel to challenge a de facto ban on women drivers, but authorities blocked the campaign website. In July 2015, a Turkish court banned five websites for promoting the Kurdistan Workers’ Party (PKK), a designated terrorist organization. However, since the sites were hosted on WordPress.com—an international blog-hosting service that employs HTTPS—Turkish ISPs had to block all of WordPress, affecting more than 70 million websites. In Saudi Arabia, sentences for posting controversial content online often include requirements to close social media accounts and bans on further posts. When the human rights lawyer Walid Abulkhair refused, his prison sentence was increased from 10 to 15 years. 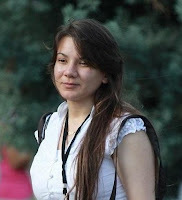 In July 2015, a leak of documents from the information technology company Hacking Team named the governments of Azerbaijan, Egypt, Ethiopia, Uzbekistan, and Vietnam—all of which have jailed activists and bloggers—as Hacking Team clients, despite the company’s claim that it does not sell to countries where there are credible human rights concerns. In Cuba, encryption services must be preapproved by the government, ensuring that none are impervious to state surveillance. In India, ISPs are banned from encrypting customer data in bulk, allowing state security agencies to scan all traffic for keywords. In August 2015, three staff members working for Vice News were arrested in southeastern Turkey and charged with supporting terrorists after authorities found encryption software on one of their computers. A decree in Vietnam bans the use of pseudonyms on blogs, following the lead of increasingly strict real-name registration for social media activity in China, and all IP addresses in Iran must be registered with the authorities. Eight men were jailed in Egypt in December 2014 for appearing in a video documenting a gay couple’s wedding ceremony. A court sentenced them to three years’ imprisonment for “inciting debauchery,” later reduced to one year. Assailants in the Mexican border state of Tamaulipas murdered Maria del Rosario Fuentes Rubio for administering a Twitter and Facebook network that reported criminal violence, then broadcast photos of her body using her mobile phone and Twitter account. 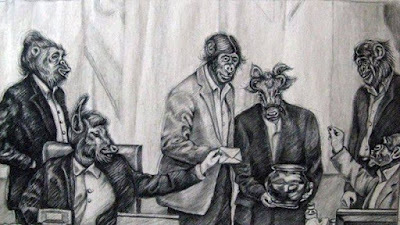 Iranian cartoonist Atena Farghadani was sentenced to 12 years in prison on charges of insulting state officials and spreading propaganda for posting this image on Facebook depicting members of parliament as animals, casting votes on proposed legislation to limit reproductive rights. Iranian Atena Farghadani received a 12 year sentence for her critique of parliament. Despite the report's countless examples of privacy violations, the year is not without forward momentum. Governments worldwide have made more of an effort to force companies and individuals to remove unwanted content, but largely in response to the ability of VPNs and encryption technology to otherwise prevent blocking and filtering of content. "Governments are increasingly pressuring individuals and the private sector to take down or delete offending content, as opposed to relying on blocking and filtering. They know that average users have become more technologically savvy and are often able to circumvent state-imposed blocks," says Kelly. 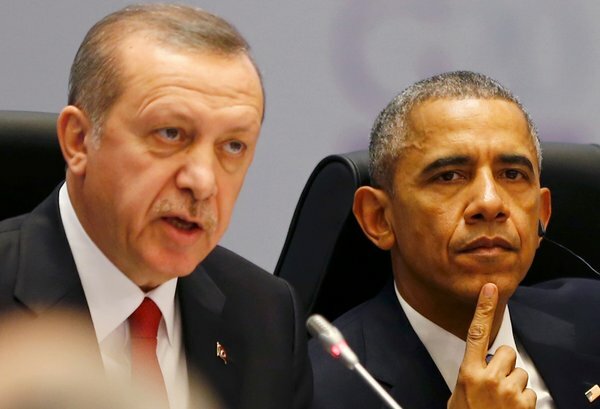 * Updated November 12, 2015 to include comments from Sanja Kelly of Freedom House. 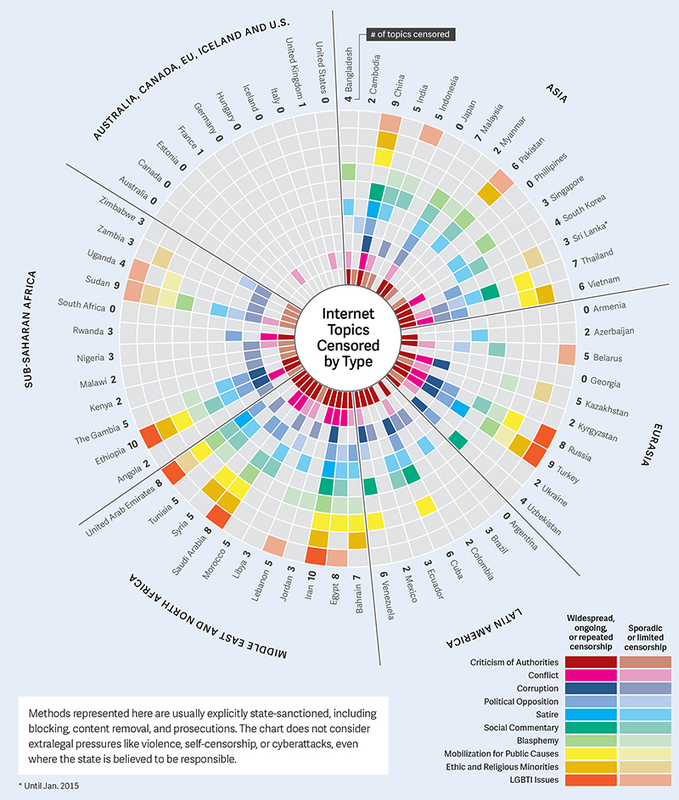 Want to know more about freedom of expression and privacy worldwide? Read on! 2015 World Press Freedom Index Shows a "Worrying Decline"
In keeping with global trends, the UK released its own draft Investigatory Powers Bill last week. The legislation sets out to clarify and simplify previous law, but also to negatively impact privacy and security for all. Internet connection records (ICRs) retained for one year, to be accessed in order to identify the sender of a communication or the communications services a person is using or to determine whether a person has been accessing or making available illegal material online. ICRs include main web addresses visited, but not the content or profiles viewed or the searches performed on each page. Targeted interception of phone calls and emails with Secretary of State-issued, Judicial Commissioner-approved warrants. Targeted equipment interference, allowing for data to be obtained from computers, tablets, smart phones, cables, wires and static storage devices, through a warrant process similar to the aforementioned. Bulk communications data obtained when required to protect national security, through the aforementioned warrant process. Until 2016, the Bill remains a draft, leaving time for the very “scrutiny and debate” Home Secretary Theresa May requested in the Bill’s foreword. Prior judicial authorisation of all surveillance requests. No blanket powers forcing communications companies to store more personal data. Surveillance conducted for tightly defined reasons such as the investigation of serious crime and preventing loss of life, with requests and warrants targeting individuals on the basis of suspicion in criminal activity. Improved redress and increased transparency for those who have been under unlawful surveillance or are no longer under suspicion. Use of intercept evidence in court to bring perpetrators to justice. 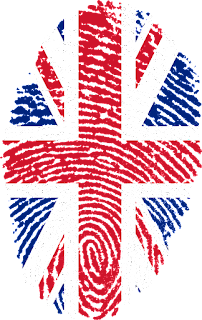 Data-sharing arrangements between UK and other countries made public and set out in law. Legislative protection against the breaking of our country’s encryption standards. 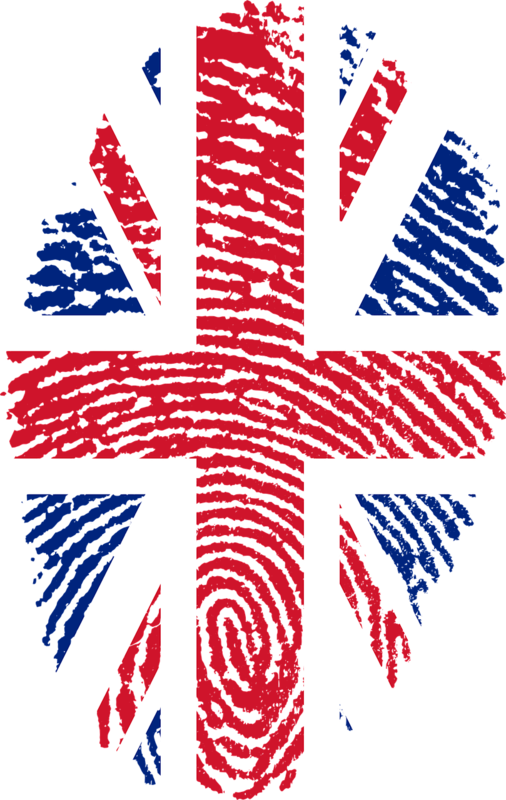 Recognition of the unique threat posed by hacking to British people’s security. In the words of Liberty's Director, Shami Chakrabati, "After all the talk of climbdowns and safeguards, this long-awaited Bill constitutes a breath-taking attack on the Internet security of every man, woman and child in our country. We must now look to Parliament to step in where Ministers have failed and strike a better balance between privacy and surveillance." The Investigatory Powers Bill is neither perfect nor complete; let Parliament know where you stand before this Bill becomes law. Want to know more about cybersecurity legislation worldwide? Read on!